The Council’s story hit some high notes this time, but its branches have never felt weaker. If you haven’t played the other episodes yet, I suggest you do so before reading further, as there is no way I can talk about Burning Bridges with some spoilers for what has already happened. Obviously, I’ll avoid spoiling what happened this episode, but I can’t talk around the previous ones anymore. So, at the end of the last episode, I accidentally cut my hand off. It’s entirely possible to avoid that, but I didn’t. Now my young and frequently confused Louis is not only rocking a nasty scar on his face but a bloody stump, too. I thought this would greatly influence the way any other character reacts with me in the Burning Bridges episode, but it didn’t. Although I spoke to three or four members of the Council in the Burning Bridges episode, only one reacted in any way to my lack of a hand. I expected the game, which prides itself on dramatic and varied branches to choose from, to have radically different conversations precisely for this reason, but it just didn’t happen. It’s a problem that has slowly been creeping into The Council from episode two, where your choices and the dialogue don’t fit as well as they should. Burning Bridges was the worst offender so far, which is a shame because it reignited my interest in the story following the shaky missteps in episode three. You’ll learn some truths about Mortimer, and set the stage for a finale I’m genuinely excited about. Also in the last episode, you had to decide which of the Hillborrows twins would die. It was a scene that made so very little sense to me because one of them was already meant to be dead, and the game didn’t give you a chance to investigate the situation any further. You make the choice and immediately move on. This time you do at least briefly get to confront the survivor, which did something to relieve the narrative tension that was building up there. But it is unfortunately replaced by a new instance just as fast. Because of my actions, a character died. Again, it was avoidable, but I didn’t prevent it. Louis reacts to the murder at the time and seemingly forgets about its existence the moment the scene is over. He goes back to making witty jokes, manipulating situations and delving into the conspiracy even more. This case was so bad I had more or less forgotten about the murder when I sat down to write this. It feels like there is a canonical path through this game that I am constantly deviating from, something the game is not quite prepared for. In my mind, it makes sense to start trimming some of the side characters away. With dozens of secrets and relationships still diluting the central story, this penultimate episode should be rounding off everything as it readies for the confrontational finale. But it doesn’t feel like that is the case, and a lot of the team’s energy seems to have gone into trying to continue story threads that aren’t as interesting as the main one. Regardless of all of this, if you have been a fan of the game so far, episode four is a great penultimate episode. We learn the stakes and choose our side in the Illuminati styled standoff. What began as a simple mystery has become something much more difficult to predict with a lot of possible outcomes. The puzzles in Episode 4 are typical for the series in the best way. They bend the brain and force you to think outside the box, without falling into the overcomplicated category they have in the past. While the first puzzle is probably the weakest in the episode, its ramifications and challenge are still finely tuned for the game’s audience. On top of that, the RPG progression is really starting to pay off too. After slogging through the attrition of Episode 3, it feels like Louis is now an extremely capable character. Abilities cost much less, and you start to feel like a powerful character in this very strange world, especially with a new mechanic being introduced towards the end. With the release of Life is Strange 2, the production value of The Council becomes even more noticeably small. Mouths move in less than they used too, with the animation really struggling at this point. 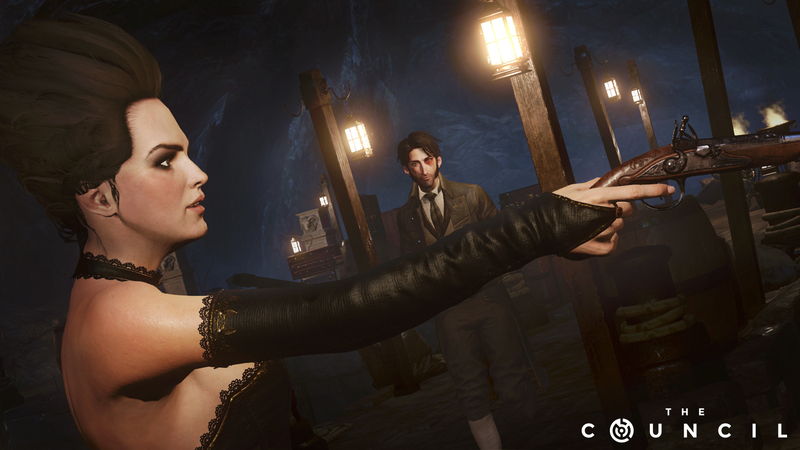 It’s not a game you need good graphics to play, but jumping between facial movement and statuesque conversations is more than a little offputting. The one new location they added with Burning Bridges is fantastic though. It’s an imaginative departure from the mansion setting you’re used to and sets up nicely for the more occult happenings that are beginning to take hold. With one episode left, The Council has done very well for itself thus far. It has a lot of problems at this point, from conversations feeling wrong, choices that make no sense, wonky animation to the insistent need to have you traipse from the same rooms over and over again. But despite all this, it is a game I’m looking forward to seeing again. It’s a game I want to see resolved, and it’s a story I can’t imagine the ending of. It’s hard to reconcile the faults and successes of the Council at this point. The first episode played like a revelation, but multiple inconsistencies since then have made it difficult to position the title. Still, if even after finding all these problems I’m eager to play the next episode, The Council must be doing something right. Reviewed on PlayStation 4 (code provided by the publisher). You may purchase the game for PC via Fanatical. 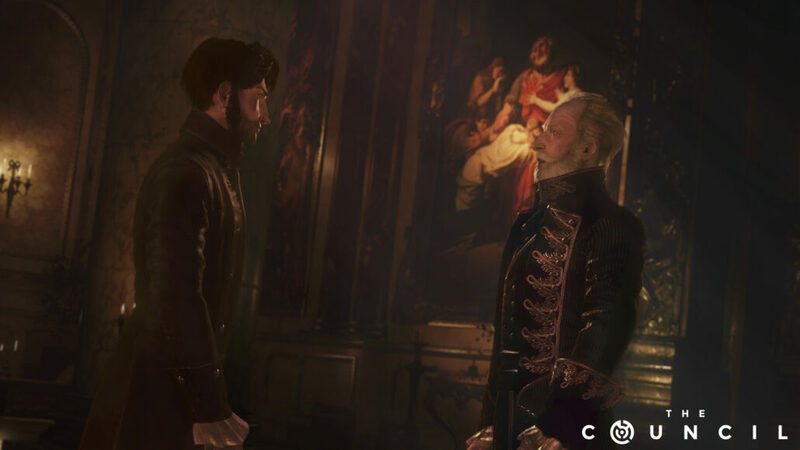 Episode 4 of The Council, titled Burning Bridges, gets the game back into its stride, even if the conversations are a bit disappointing. The RPG progression is starting to pay off, though.